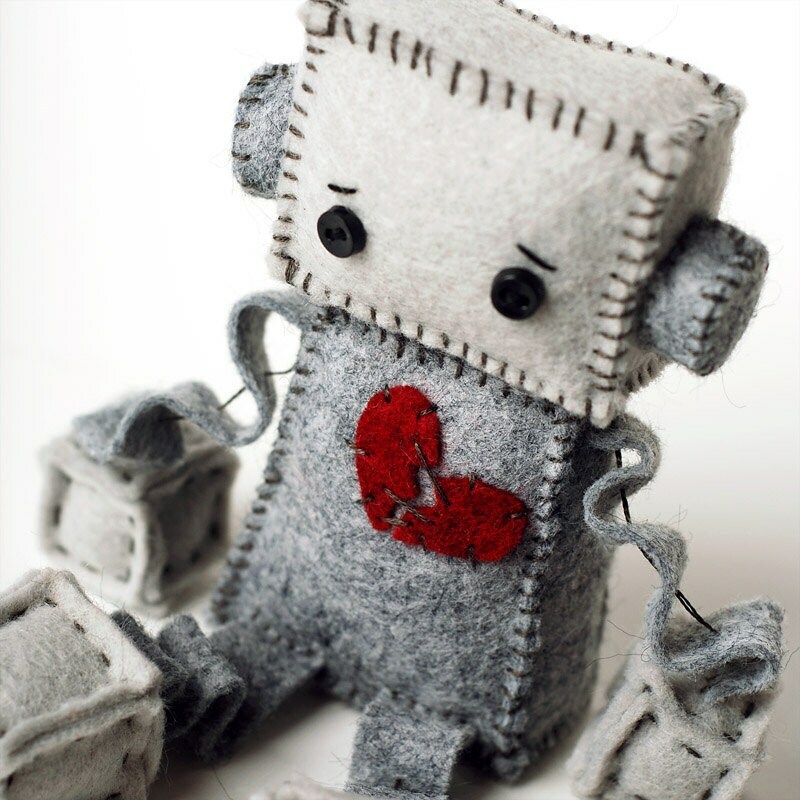 This little plush robot has a broken heart. It has been stitched back together, but it will probably never fully mend. It would make the perfect Anti Valentine Day present for you or someone else. Broken Heart Robot is about 4 inches tall sitting. It is made of premium wool felt, cotton embroidery floss and little plastic buttons for eyes. Plush Robots are all handmade by me and one of a kind, so expect slight differences.